FUnet is a dynamic, engaged group of alumni leaders who spread University news and updates through social media and other forms of peer-to-peer contact. 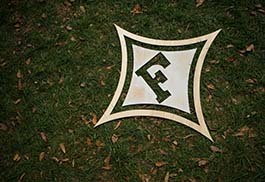 FUnet Alumni Ambassadors are selected based on loyalty to Furman and interest in sharing updates about the University. This group of 115 spirited members collaborates with Furman's alumni and development offices to keep Furman's alumni and friends informed about the latest happenings on campus. Every month, our ambassadors receive official communications from Furman that highlights upcoming events, giving initiatives, and campus news. They are encouraged to share the updates and information on the social media platform of their choice or through traditional outreach methods to fellow alumni at any point during the month. They are often the first to break University news. Want to nominate an active alumnus or alumna to join FUnet Alumni Ambassadors? Email Anne Fleming '96 with the name of the nominee and the reason why he or she would make a good ambassador. Questions? Contact Executive Director of Development Communications Anne Fleming '96, anne.fleming@furman.edu or 864-294-3475.